A few days ago an explosion ripped Beirut apart. Another one took place today. On days like these, time stands still and the city's heartbeat stops. Death, debris and cries are echoes from the country's past. People continue their struggle to keep Lebanon alive. Some gave their lives for it. Others marched, wrote, harangued and spoke for it, never giving up, always believing that Beirut will remain, and the city continues to flourish through art, through literature and through its food culture. Food is life. It represents the intrinsic and unifying denominator in this country torn by political strife. From traditional dishes to new contemporary adaptations, Lebanese food never ceases to evolve and delight. Beirut is a hub of slow-food restaurants and associations, which revive regional cooking while young chefs re-interpret and perfect methods. Food is also memory. Every dish that we eat is associated with a time, a place or a person. Every New Year’s Day, my grandmother would cook something white, the antithesis to black which represents death and trouble. To ward off sadness in the year to come, and as a silent and tasty wish for peace she always made a creamy and comforting rice pudding. 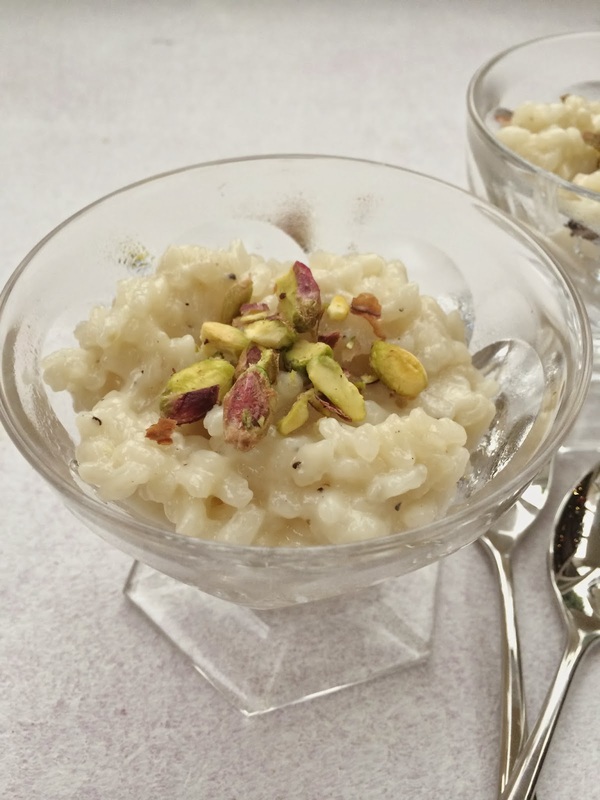 I have a soft spot for Lebanese rice pudding and I cannot dissociate it from memories of family gatherings, or the little lace trimmed cupboard where she kept it in individual saucers. As we are about to embark on a New Year, new journey, I have cooked us another version of rice pudding. 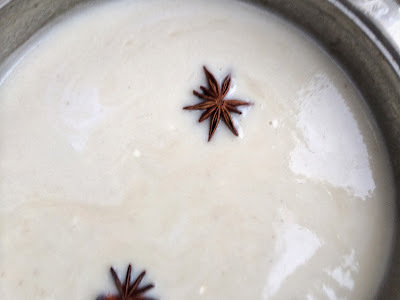 Whereas I would use cow’s milk and orange blossom essence to flavour the traditional pudding, I have made this one with coconut milk and spices. Place sugar, rice, coconut milk, cream and spices in deep saucepan over medium heat. Cover the rice mixture with a lid. If you are not sure if the handles are heatproof, make sure to wrap them with foil before placing in the oven. Place in the oven and cook for 35 minutes. 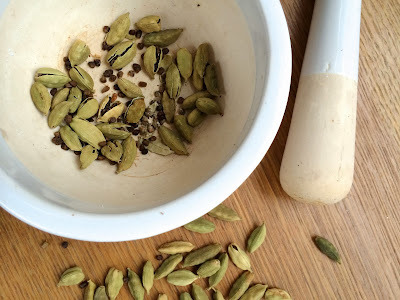 When the rice is cook incorporate the rose water and discard the star anise. Refrigerate and serve cold, garnished with chopped pistachios.